A spacious three bedroom terrace property located within walking distance of the popular town of Ystrad Mynach. Ystrad Mynach has a range of shops, banks, hairdressers, butchers, pubs and super markets. You are also a short walk away from the train station, several bus stops and Penallta Park. The property briefly comprises of entrance hall, lounge, dining room, bathroom, kitchen, three spacious bedrooms and large low maintenance rear garden. The property also benefits from a positive input ventilation system. If you want to know more, go to , or ask us. The lounge has laminate flooring, painted walls, radiator, feature fire place and a large UPVc double glazed window. The dining room flows from the lounge and has laminate flooring, radiator, window and provides access through to the kitchen. The family bathroom has tile flooring, bath with shower, low level W.C, hand sink base unit and window. The large kitchen has ample work surface area, plenty of storage in cupboards and drawers, space for white goods and cooker and provides access to the rear garden. The first floor of the property has three spacious bedrooms, all with carpeted flooring, radiators, painted walls and UPVc double glazed windows. 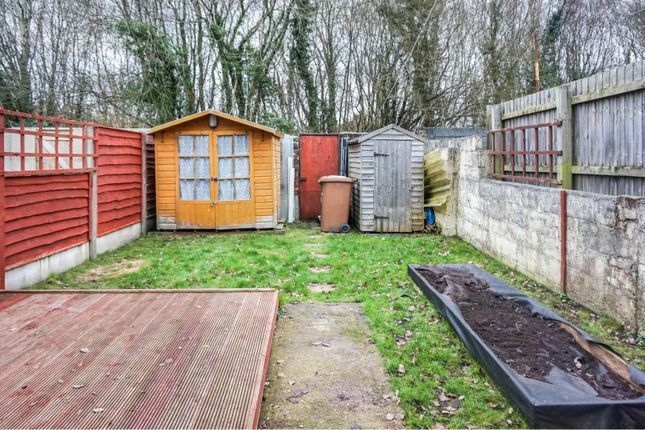 The rear garden has two sheds, a large decking area, raised bed and spacious lawn area.